Hello there, and welcome to Canada! I am sure you must have a lot of questions about Canadian currency. Adjusting to a new currency can be challenging at first, but fear not we are here to help! Let’s introduce you to how money works in Canada. In early North America, before the arrival of European settlers, Indigenous populations used to trade goods and services instead of using money to buy items. After the arrival of European settlers, and with the introduction of precious metals such as gold and silver and other valuable items, a currency-based monetary system was born. After British settlement in what is now Canada in the 1700’s, the British pound became Canada’s currency and was used for almost a century. By 1867, the year of Canadian Confederation, Canada became independent of European currency and began to establish its own system. The true establishment of Canadian currency began in the 1900’s. Founded in 1934, the Bank of Canada began the circulation of the same Canadian money we still see today. Canadian prices use a “$” (dollar) sign. For example, the price of something on a sign could read $4.99, which means that the item is four dollars and ninety-nine cents. The Canadian system of bills and coins is very similar to the United States’ system. Some Canadian establishments, especially those close to the border, also accept American money. 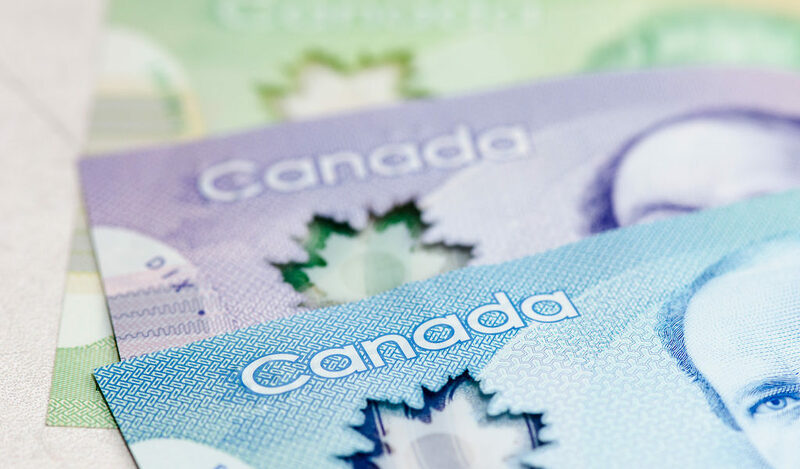 The most important changes that have occurred in Canadian currency in recent history include the discontinuing of the 2 dollar bill and the 1 cent coin (the penny) and the introduction of polymer bills. Polymer is a plastic-like material which, when used to make money, creates safer security features and makes bills waterproof! Let’s learn about the dollar bills (banknotes) and coins that make up the Canadian currency. There are five coins that make up Canadian currency. The Royal Canadian Mint produces these coins in Winnipeg, Manitoba and Ottawa, Ontario. 5 cent coin (a nickel). Came into circulation in 1922. 10 cent coin (a dime). The oldest coin, first introduced in 1858. 25 cent coin (a quarter). Came into circulation in 1870. One-dollar coin (a loonie). Came into circulation in 1987. Two-dollar coin (a toonie). Came into circulation in 1996. Here is an example of how you could pay in a potential situation: your total is $11.85. You could pay with a 10-dollar bill, a loonie, three quarters, and one dime. What are other ways you could pay? Prices for goods and services in Canada often have an additional sales tax added after you bring your goods to the cashier. There are three types of sales taxes in Canada: GST, PST, and HST. GST, the Goods and Services tax, is a federal tax, and is currently set at 5%. PST, the Provincial Sales Tax, is added by the province where goods and services are sold, and each province can change the rate of the tax depending on their needs. For example, PST is 8% in Manitoba, 6% in Saskatchewan, and there is NO PST at all in Alberta. The HST is a Harmonized Sales Tax, which means that the GST and PST rate is combined into one flat tax, the HST. Only a few provinces use the HST, including the Maritime provinces and Ontario. Cryptocurrency is a digital currency which works as a medium of exchange by using cryptography to secure the transactions. These currencies are not backed by the Canadian government and banking system. Often considered decentralized, these currencies gained popularity in the late 2000’s with the launch of Bitcoin in 2009- the first ever cryptocurrency. They are used wherever they are accepted and can be exchanged for traditional currency such as the Canadian dollar. However, we strongly advise that you do your research before you invest in or buy cryptocurrency, especially if you are new to Canada. Thanks to Kiran Sandhu for help with this guide. If you want to suggest a correction to this guide, or want to submit one of your own, please contact us.